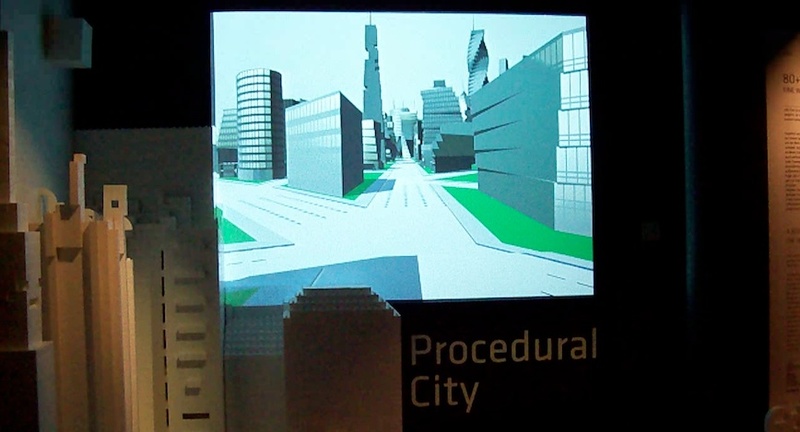 Procedural City is an interactive media installation which has incorporated the generative modeling features of CityEngine along with a biometric fingerprint scanner. It enables the user to create his/her own personal city according to their fingerprint. To interact with this installation the user scans his fingertip and subsequently the data is imported into CityEngine for processing. 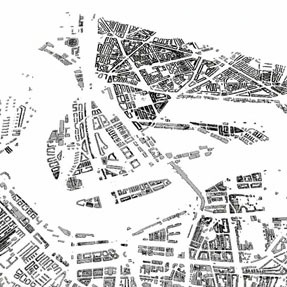 The fingerprint is analyzed to the point where CityEngine can generate street networks according to the pattern of the strongest lines. Once the streets are generated the buildings are ready to be modeled and this happens right in front of the users eyes. Finally a simple touch interface with navigation controls (actually an iPod) allows the user to explore the personalized city from all angles and perspectives. The installation has been developed by Procedural Inc in collaboration with the Ars Electronica Futurelab, and is part of the GeoCity exhibition at the Ars Electronica Center (AEC) in Linz, Austria. Additional exhibitions: Xi’an Academy of Fine Arts, Xi’an, China (July 02 – 16 2010). Maison D’Ailleurs, Yverdon-les-Bains, Switzerland (March 11 – December 09 2012), supported by the Game Culture Initiative of Pro Helvetia / Swiss Arts Council. Seoul National University Museum of Arts (October 10 – December 20 2014). This entry was posted in Digital Art, Research and tagged Ars Electronica, Biometry, CityEngine, HCI, Portfolio on October 31, 2010 by robot.